During the multi-year partnership, Italian coffee company Lavazza will become Liverpool FC football team’s exclusive coffee supplier to Anfield Stadium, providing authentic Italian coffee to the 54,000 supporters in attendance each match day, as well as those who visit on non-match days. The partnership comes as Lavazza continues to spread its message about authentic coffee experiences around the world in a new advertising campaign, which will kick off in the UK featuring Reds first-team players Dejan Lovren, Daniel Sturridge and Virgil van Dijk. Throughout the partnership, Lavazza will also benefit from pitch side LEDs and hospitality, and will create a range of experiences specifically for Liverpool fans. 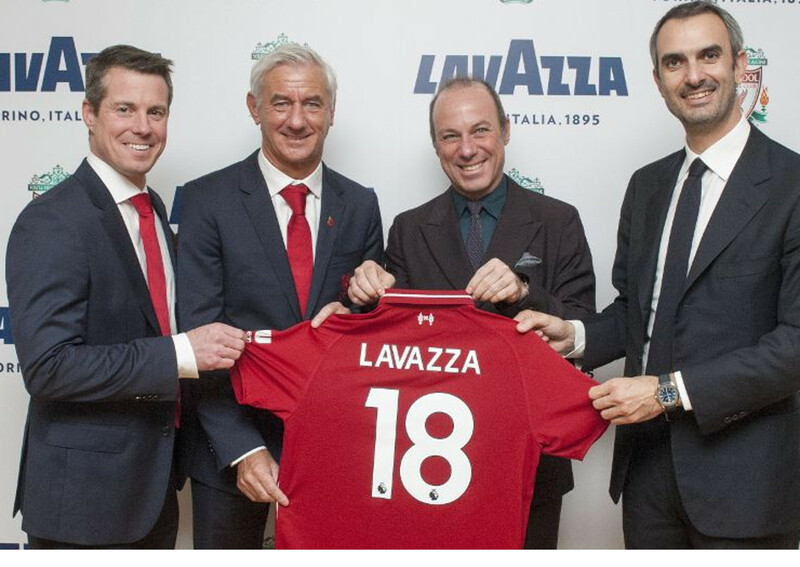 Billy Hogan, managing director and chief commercial officer at Liverpool FC, said: “Lavazza is synonymous with excellence, tradition and passion for its coffee, in the same way that we are with football, so it’s a pleasure to be welcoming them to the Liverpool FC family. We’re very much looking forward to working together, strengthening their presence here in the UK and providing our supporters with an authentic coffee experience when visiting our Anfield home”. David Rogers, Lavazza UK managing director, commented: “At Lavazza UK, we are immensely proud to be further strengthening our presence in the UK through new partnerships with one of English football’s greatest teams. This move that allows us to reach consumers with our authentic Italian coffee experiences not only first-hand in the stadium, but also through a multitude of other touch points year-round, potentially reaching tens of millions of Liverpool FC fans”. The Italian Group has also created LFC-branded A Modo Mio Tiny machines, so supporters can enjoy an authentic Italian and LFC coffee experience in their own home. These will be available directly from the Italian coffee iconic company in the near future. From today, Lavazza’s product offering will be available in all Anfield Stadium hospitality boxes and lounges, and from all bars and concourse kiosks throughout the stadium.